YouTube. Now you don’t have to feel intimidated by this one simple easy step. 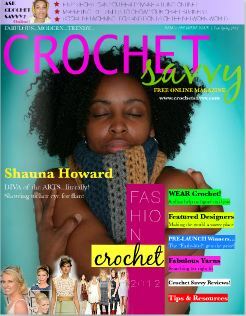 You can read the premier magazine issue here – crochetsavvy.com Download the magazine here. Crushable Crochet Couture Taupe Straw Hemp by strawberrycouture. 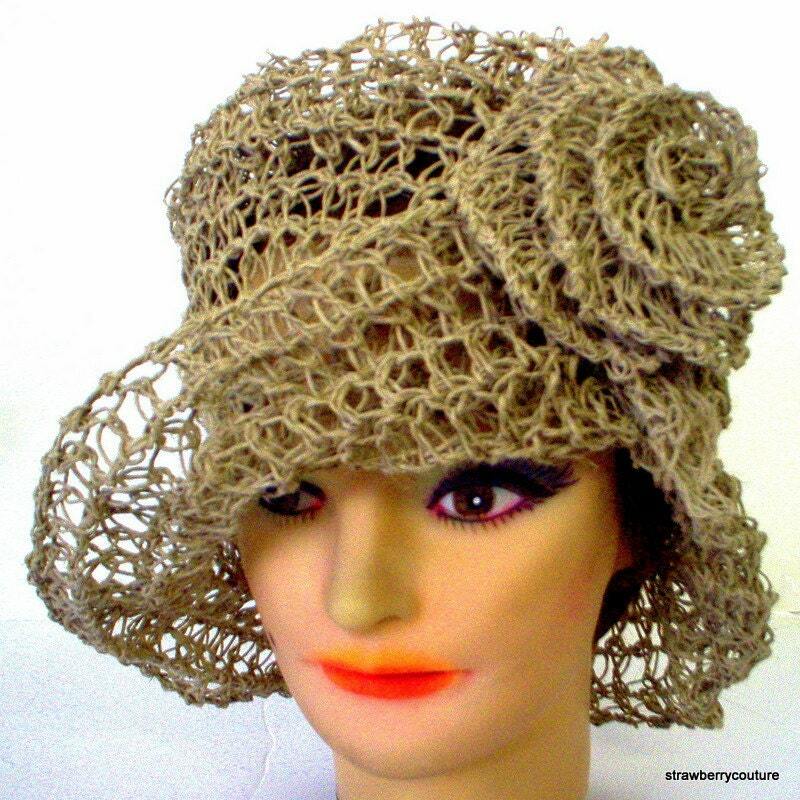 This is a crochet taupe straw hemp twisted cloche hat. It is great like my other cloche hats, but this is a summer version of it. The hat is stiff and lightweight. The flower and leaf is attached to it. It is great for the beach and the hot summer. It is elegant. It stands up to the wet beach weather. Measures 8in(20cm) tall – 23in(59cm) around. Weighs 4oz. The hat is extremely light. It was crocheted using thin hemp. If you need this crochet cloche hat in hemp in another size, please convo me. I hope you will consider including this lovely summer hat for the beach and other summer occasions in your wardrobe.